Birds at the bird feeder. Blue Jay, Brown Cowbird, House Finch, and Northern Cardinal. The blue jay has to take the sunflower seeds away to pound them against something hard. In addition to the adult cowbird, it appears that there are several juveniles. The cowbirds are brood parasites, laying their eggs in other birds species nests. I wonder if it was with the house finches? 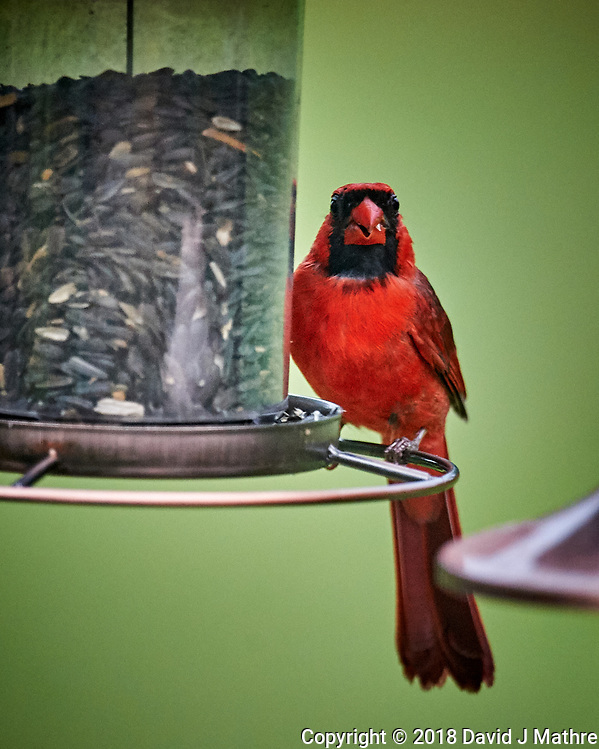 Another bird spending a lot of time here is the bright red cardinal. 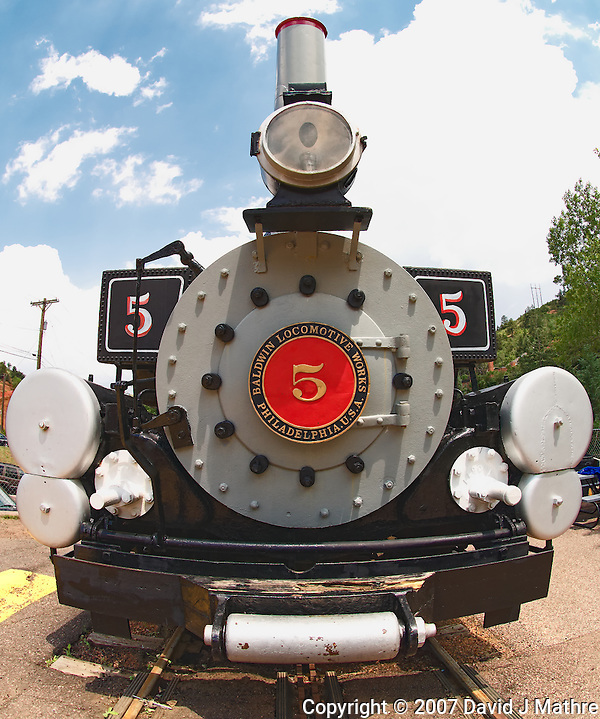 Eleven-years ago on a lark I drove from Boulder to Colorado Springs and then to Manitou Springs to take the Cog Wheeled Railroad to the summit of Pikes Peak. Little did I know that you needed reservations for the cog rail trip to Pikes Peak, and that all trips were sold out for the day. I was very lucky that someone in line before me was unhappy that their party was not all sitting together and turned in their tickets. Once I got on board the train, I realized that I won the lottery since my ticket was for the front seat. This allowed me to set up a tripod and camera to capture images for a time-lapse video for the train ride. So as not to annoy the other passengers on the train I used a small Gitzo travel tripod, my smallest camera body, and a small lens. Going up the mountain I used a 18-200 mm lens at 18 mm. Going down the mountain my seat was now in the rear of the train looking back. For this I used a 10.5 mm fisheye lens. This was a case of being in the right place at the right time!! !